Court-ordered alcohol counseling services and programs have been implemented by various courts and law systems throughout the country. These services take a different approach to convicting a criminal. Instead of the criminal being sent to jail, they are assisted with their dependency issues and given an opportunity to recover and achieve sobriety. Many rehabilitation centers have now also been established to provide patients with specialized alcohol and drug court-ordered treatment programs. What is court-ordered alcohol rehabilitation? What are the reasons for court-ordered alcohol treatment? What are the drug courts? What are the court-ordered alcohol intervention programs? Who pays for a court-ordered alcohol rehab? How effective is court-ordered alcohol rehabilitation? Court-ordered alcohol counseling and rehabilitation is a sentence that is given to a criminal after they were found guilty of the charges made to them. Not all criminals that are convicted will qualify for this type of sentence – in most cases, a judge will apply a sentence for court-ordered treatment if they notice the patient could make a recovery if they were given the appropriate treatment services for their alcohol dependency. A plaintiff’s case will be carefully reviewed by the appointed judge in order to determine the most appropriate sentence. If the judge finds that the patient may do well in a recovery center, they may be issued with a court-ordered alcohol screening, followed by a placement in a rehabilitation center that is appropriate for their condition. In most cases, a specialized rehabilitation center will be utilized that focuses on providing recovery services to people who have been ordered to undergo a mandatory court-ordered alcohol program. There are multiple reasons why a plaintiff or a specific individual may be provided court-ordered inpatient alcohol rehab services or even a series of outpatient services. Should the person have been involved in a crime, the process might take longer, and the plaintiff may be held in a jail cell for the time being. During this time, a judge appointed to the plaintiff’s case will have to determine what the best solution for the particular individual might be – such as whether the person may require inpatient alcohol treatment in order to provide them with the help they need for a successful recovery. A court order alcohol defense case needs to be established, in which the plaintiff will then be provided with a final sentence. This may include going back to jail, or rather being admitted to a court-ordered addiction treatment facility. The specific sentence provided to the plaintiff will depend on a large number of factors. The judge and other authorities will have to take the plaintiff’s criminal record into account. A plaintiff with an extended criminal record may not be as appropriate for court-order rehab as a plaintiff with no past criminal activities recorded. There are also certain jails throughout the United States where a criminal charged to a specific sentence in jail may be required to undergo mandatory alcohol treatment during their time in prison. In such a case, an outside counselor will be allocated to the plaintiff’s case. The counselor will then meet with the plaintiff at specified dates in order to provide them with psychiatric services that will form the basis of their recovery program. In cases where a person learns how to get someone court-ordered alcohol treatment due to the individual being concerned about a loved one, the process may move somewhat faster. Jail time is not demanded for the individual who needs to be court-ordered. There is also no guarantee that a court order will be provided to the individual with the alcohol dependency since the case files that were drafted during the filling of the case will first need to be thoroughly analyzed. If the individual is still utilizing alcohol at the time of their sentence, they will likely be referred to a rehab where they can first undergo detoxification. In such a case, the person may experience alcohol detox symptoms during the initial period, which is why an inpatient program is usually demanded for the first few days or weeks. Drug courts are still somewhat new but have already spread throughout the United States and play a crucial part in providing plaintiffs access to court-ordered inpatient alcohol rehab, as well as outpatient services in some cases. A drug court focuses on plaintiffs who have been found guilty of a specific crime that they were charged with – and the plaintiff was under the influence of alcohol or drugs while they committed the crime. The idea behind a drug court is that all people who have committed a crime while they were under the influence of a substance, in this case, alcohol is not a particular danger to their society. The judges and other entities involved in a drug court aims to reduce the risk of putting someone away in jail when they could have been better off attending a rehabilitation program. At a drug court, a plaintiff’s file will be thoroughly analyzed, and the appropriate entities will then decide if rehabilitation could provide the assistance the plaintiff requires to re-enter society without being a danger to those around them. Should the plaintiff be a good match, a court-order for alcohol process will commence, during which the plaintiff will be ordered to find an appropriate rehabilitation facility that can provide them with effective services to assist in their recovery from the alcohol addiction? People who are looking to learn more about how to get someone court-ordered to go to alcohol rehab usually find their interest in intervention programs. With these types of programs, a loved one of a person addicted to alcohol may approach the appropriate authorities and explain their situation. The law enforcement personnel that records the data will then open up an official case. The case will usually be moved to an appropriate authority, such as a judge at a drug court. Here, the judge will consider ideas about counseling for court-ordered alcohol recovery services for the individual who is struggling with alcohol addiction. The loved one who is concerned about the affected person’s alcohol addiction will need to provide clear information, including reasons why the affected person should be court ordered to undergo treatment. In most cases, the loved one has already spoken to the affected person about their alcohol dependency and could not convince them to seek professional help. They may feel hopeless and unsure about what they are to do, which is why law authorities are sought in order to get a court order for the patient to undergo mandatory treatment. In order to understand how payment works for the admission of a patient that specializes in recovery programs, it is important to look at court-ordered alcohol rehab by state. Certain states have specific rules implemented to help reduce the burden from the criminal being sentenced to undergo rehabilitation. In the majority of cases where court-ordered treatment for alcohol addiction is demanded, the plaintiff being sentenced will be held responsible for the payment of the bills. 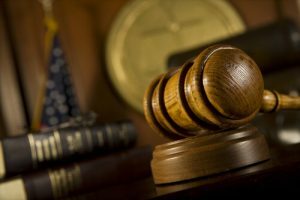 The court has no role to play in providing payment for the services demanded and will also not be held responsible for assisting the plaintiff in arranging a payment plan with the chosen court-ordered alcohol rehab. In some states, laws have been established where the person who is requested the court-order need to provide a written agreement that they will be held responsible for the payment of the court-ordered alcohol treatment program that the plaintiff will need to undergo. This law is called the “Casey’s Law” and has been implemented in both Kentucky and Ohio. In Indiana, the “Jennifer’s Act” law has also been established to reduce the fees demanded for filing petitions, which helps to ensure more funds is available for the rehabilitation program. When court-ordered outpatient drug and alcohol private pay or an inpatient solution that demands a front-up payment of the bill is not an appropriate option, the patient may seek a free drug and alcohol rehab. There are several options available, but the court will first need to approve the plaintiff’s request to undergo treatment at such a rehabilitation facility. Insurance can sometimes be utilized to assist in the payment required by the plaintiff to undergo treatment. The plaintiff will need to provide the rehabilitation facility with their insurance details for a verification to be done. In some cases, the plaintiff will need to pay a certain percentage of their bill themselves. How Effective Is Court Ordered Alcohol Rehabilitation? Studies have been conducted in order to assist judges and the legal system to understand the success rate of court-ordered alcohol rehab better. Mixed results have been found in some studies. Scientists looked at nine previous studies in order to determine the potential effectiveness of mandatory, or court-ordered, rehabilitation programs. Negative results were observed in two of the studies that the scientists looked at during the review process, but, at the same time, two of the studies had shown positive results. The other studies had no significant difference when compared to control studies where people were admitted to a rehabilitation facility without a court order. The studies that were reviewed in this paper included both short-term treatment programs, as well as long-term treatment programs. 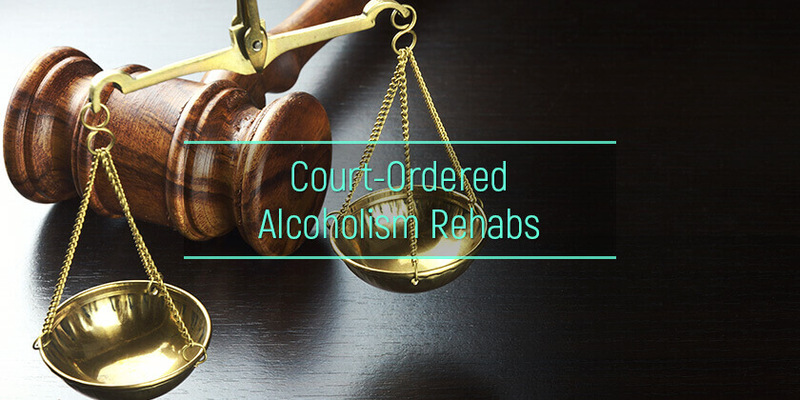 Court-ordered rehabilitation programs can be just as effective as the programs provided to people who voluntarily request assistance with their alcohol dependency and asks for recovery services to be made available to them at an alcohol rehab. The author describes that a lot of people who are court-ordered to undergo such services will not have the same level of motivation as those who voluntarily admit themselves to a program in the beginning, but similar rates of employment, abstinence, and rearrests are seen amongst the two groups.